It is a crisp and clear winter’s day in Bad Münder, Germany when we visit Hytera Mobilfunk’s headquarters. Markus Oltmanns, its VP of product marketing and communications, is there to greet us and give us a guided tour of its facilities. We walk past a wall with a colour-coded timeline of the company’s history and then into a meeting room. Oltmanns explains that our visit takes place at a busy time for the company, as it is just before PMRExpo and they are gearing up for the show. Speaking of which, Oltmanns remarks that at his first PMRExpo after the company had been acquired by Hytera, a lot of his old colleagues and partners said the new owners would ‘take every asset out of the company and close down everything’. Time has of course made a lie of such dire predictions and Oltmanns notes that Hytera Mobilfunk subsequently nearly doubled in headcount and invested €6m in a new building, which accommodates the bulk of its R&D activities. 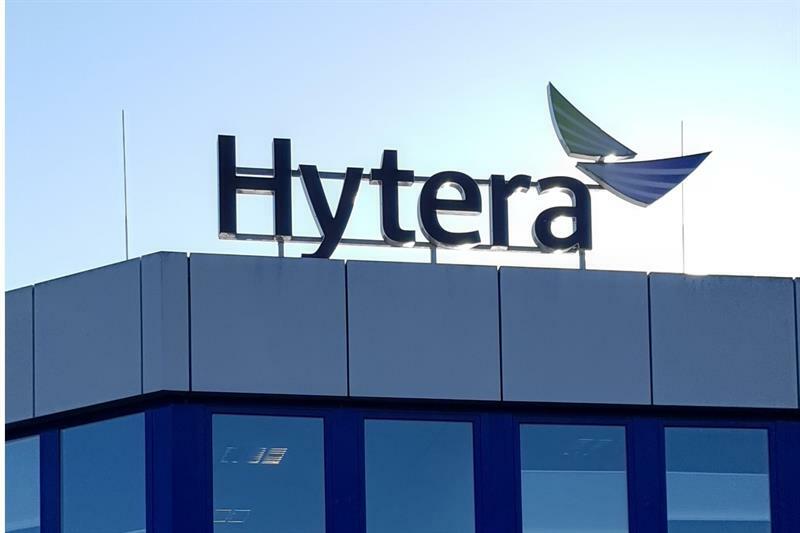 Part of the reason for the increase in headcount is that the company quickly became (as an addition to its other activities) the sales office for Hytera’s activities in German-speaking countries, the Benelux countries, Italy, Eastern Europe and, from there, all the way through to Greece. This change necessitated a considerable expansion of its service, pre-sales and after-sales departments. We move to the service department for TETRA systems, where we see a number of work stations, showing live remote views of some of the systems that clients are using in the field. Those operating these stations work in tandem with their on-site partners, alerting them to any issues that require them to drive out to a base station and make repairs. Oltmanns explains that this is all part and parcel of providing “radio systems as a service”. We move past an old showroom that is to be taken down and renewed and enter the training areas, which together comprise Hytera Academy Europe. There are two large rooms, each with a series of desks where visitors can “get used to the configuration of a TETRA system”. Oltmanns adds that “we teach everything here: radio and system programming, system programming, and fleet mapping”. He explains that as the subject matter requires a great deal of explanation, the groups of trainees are typically no more than six to eight in size. We then move into a much noisier room, where all the systems that are used during the training programmes are kept. There is a wide variety of systems both in terms of technology (DMR and TETRA) and age. Speaking of the latter, Oltmanns shows us a DIB-500 R4 base station that was introduced in 2007 and is still in use. He explains that Hytera Mobilfunk still keeps it available for customers who have deployed it in their networks, and that this is part of the company’s strategy of working to protect its customers’ investments in its equipment for as long as possible, while offering its new DIB-R5 base station family for new installations and projects. The next stop on our tour is a staging area where the company facilitates factory acceptance tests (shown below) – it houses systems that have already been sold and configured for their new owners. They are fitted with dummy loads, which prevent possible damage to the base stations’ amplifiers by converting the bulk of the RF power into heat. We then move into the company’s warehouse, which stocks all of Hytera’s products. Oltmanns explains that handsets are shipped in from Hytera’s factories and then are tailored to customers’ needs – equipping them with additional batteries if needed and the correct antennas for the frequencies they will use. He adds that for sales outside Germany, Hytera Mobilfunk always works with distributors such as RTcom in Poland and Advantec in Italy. He says Hytera Mobilfunk’s headquarters sells a modest number of handsets – around 100,000 a year. The first thing it did when it received its first shipment of Hytera’s new PNC370 PTT over Cellular handsets was to issue them to its sales team to allow them to easily communicate with each other as well as showing them to end-customers. The HQ did use wireless DECT telephones for internal communication, but has switched to IP telephony. We head to the area where base station components are serviced and repaired. Oltmanns explains that typically clients keep these, such as carrier cassettes, on site and, if they fail, swap them out for a fresh one and then send the failed component to the company for repair. We see a well-kept desk complete with soldering iron and RF test and measurement equipment – “from Rohde & Schwarz, of course”. We move through the offices that handle purchasing, logistics and servicing for handsets. “We also sell spare parts for Hytera radios to [our] certified service partners,” Oltmanns says, before noting that the value of handsets makes it important to ensure they can be repaired, for example if a volume or channel selection knob is damaged after a radio is dropped on the floor. He adds that in some regions where the air is humid and salty, keypads tend “to rub off”, requiring their replacement once every two years or so, “and there’s no point in replacing the whole thing just for a keypad”. Our next stop is the internal staging area for the company’s R&D work, where every new type of system and software release is always tested prior to its deployment in the field. Oltmanns says much of the testing is automated and uses a range of testing scenarios including voice calls and data transmission. He adds that the protocols used for IOP testing with other vendors are used internally – “we do that on a regular basis with ourselves”. We then move into the complex’s newest building, which was opened as part of the company’s 35-year anniversary celebrations in October 2015. Oltmanns says it has a lot of solar panels on its roof and there is also a system that in winter recirculates the warm air in the staging areas to heat the rest of the building, and in summer reverses this approach. We pass a well-appointed canteen and move into the TETRA R&D labs – the most recent product to be developed here is the DIB-R5 outdoor base station, and Oltmanns highlights the way in which “it’s a true one box solution”, containing a base station and its controller, and can be run on a laptop’s power adapter due to its very low power consumption and can be easily set up using a web-based interface. We hope you have enjoyed this insight into a vendor’s approach to TETRA infrastructure support and R&D. It will be interesting to learn more about the company’s work in Malaysia (see below) as part of our coverage of CCW in Kuala Lumpur. Hytera Mobilfunk’s story began in 1980, when Heinz Bick founded a small engineering start-up that quickly specialised in two-way radio systems. The company Intelsig Mikroelektronik GmbH was founded in 1984, and its name changed in 1987 to Neuwirth & Bick as a result of the purchase of Neuwirth, a company specialising in measuring instruments. It became part-owned by Rohde & Schwarz in 1988. In the same year, the company started its development of its ACCESSNET solution, which was based on the MPT1327 standard and launched the following year. The company was integrated into the Rohde & Schwarz group in 1992 and renamed Rohde & Schwarz Professional Mobile Radio GmbH. 1999 saw the company deploy the first TETRA system in Germany, for a combat training centre that used its data capabilities (which were able to send 14 messages/second/user) to underpin a sophisticated laser tag system. In 2007, Georg Haubs replaced Heinz Bick as CEO. The company made the transition from circuit switching to IP in 2008. In the same year, it completed the roll-out of Malaysia’s nationwide TETRA network, in partnership with Siemens Austria AG and the local operator, Sapura. 2008 also saw the start of the company’s deployment of a nationwide TETRA system in the Republic of Macedonia (which is in the process of changing its name to the Republic of North Macedonia). The company’s first IP-based network was deployed in 2009, along a number of highways in Saxony. In 2012, the company was fully acquired by Hytera and in November of that year, Matthias Klausing became CEO.